Our superfine quality range of Brass Working Screen finds critical solutions in the sugar industry. These are used in centrifugal machine for sugar industry. These are also known as Centrifugal Brass Linears. 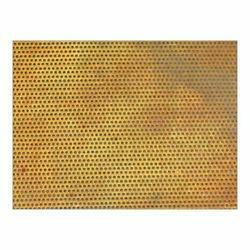 These liners are pierced sheet made from brass metal with circular or oblong perforations, The liners are manufactured in varied specifications and offered in packaging as suggested by clients. The range is characterized by features as corrosion resistance, tensile strength and durability. Looking for Brass Screen ?